The Diploma in Education sub-specialization in Integrating Technology through Education and Culture is offered through the Department of Curriculum and Pedagogy subject areas: Computing Studies and Technology Studies Education Programs. The iTEC program provides an opportunity for teachers to have hands-on experiences with educational technologies and technology-based learning. Students will work with emerging forms of digital media, technologies, and learning management systems, social media, and communication networks. Students will have opportunities to teach and learn in formal (public and private K–12 schools) and informal (museums, centers, community–based institutions) educational venues to improve their understanding and practices in the pedagogical uses of information and communication technologies (ICT) within face-to-face, mixed-mode, and online-distance education settings. This program focuses on established and emerging digital media and educational technology perspectives and practices for the purpose of both enhancing your knowledge of existing educational technology curriculum issues and developing new areas of inquiry specific to your interests and situation. Specific advice about the program may be obtained from Faculty of Education professor, Dr. Don Krug, tel: 604.822.5318. The 30 credit UBC post-degree Diploma (DEDU) is designed to meet the needs of educators who wish to continue their professional education. The iTEC Diploma in Education Program has flexible requirements (30 post–baccalaureate credits) making it a viable alternative to the Masters program. 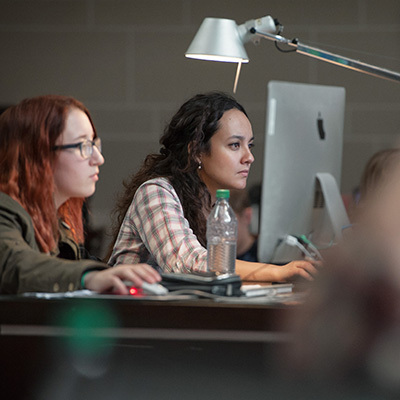 The difference between a Masters program and the Diploma Program is that the Diploma program allows you to apply 12 credits of senior–level courses from other design and technical institutions (i.e., British Columbia Institute of Technology (BCIT), Emily Carr University of Art and Design (ECUAD)). Note: Courses are subject to change. Not all courses will be offered each year. * Course NOT offered in 2017/18. For elective course approval, please contact a Teacher Education program coordinator.